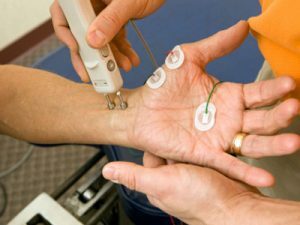 Have you been feeling numbness, tingling, or even itching sensation in your fingers or hand as of late? Does it feel like you don’t have the same strength in your fingers and hand as you used to? If so, you may be suffering from carpal tunnel syndrome. This particular condition affects women more often than men, but that’s not to say that men aren’t at risk. Carpal tunnel syndrome occurs when there is added pressure being placed on your median nerve. This nerve is found in your arm and actually runs all the way down your arm, right into your wrist. The area in which the nerve runs into is called the carpal tunnel, thereby giving this condition its name. The median nerve is an important one in that it helps to control feeling in your thumb and movement in your first three fingers. When you have carpal tunnel syndrome, there is swelling in that passageway, which then restricts motion and can cause pain. Unfortunately, it doesn’t go away on its own, and it will only continue to get worse over time if no treatment is taken. 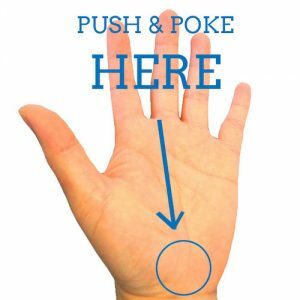 The typical signs and symptoms include numbness, itching, tingling, and burning in your thumb, fingers, or even the palm of your hand. Who Is At Risk of Developing It? As for who is most at risk of developing carpal tunnel syndrome, that would be people who engage in repetitive motions. It’s not uncommon for it to be related to work, such as a person who spends much of their workday typing or using machinery. But those aren’t the only people at risk. Those who are pregnant, have rheumatoid arthritis, are obese, have diabetes, or who have hypothyroidism are also at high risk. The treatment plan will depend on the individual and the severity of the condition. The first step is usually lifestyle changes, and from there medication may be prescribed. If this fails, then surgery can end up being necessary. Surgery may be needed to reconstruct and even repair tissue that has been damaged. For more information, contact us today at 646-846-1136 to schedule an appointment with the best plastic surgeon in Manhattan. ← What is a Phalangeal Fracture?